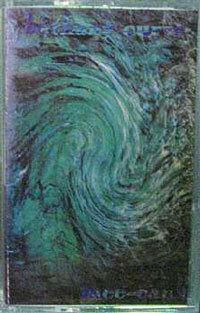 Here’s another LP on donation from Ondanera, deep from the heart of Italy. 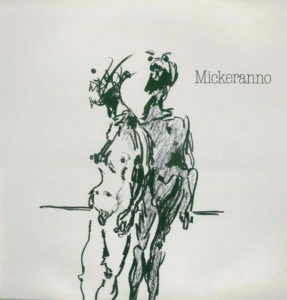 This LP is the lone release from Mickeranno, an artist from Catania, a town in Sicily (Sicilian pride!). As I understand it, Jacopo Leone was the primary musician for this release, with a few collaborators providing drums, trumpet, and other touches. Recorded in Northern Italy in the Emilia Romagna region, the album didn’t break out past its native country when it was released in 1985, so hopefully it can find new life here. Fans of bands like Felt, Dif Juz, or the Durutti Column will love this one, as it’s a quiet, understated affair, with subtle electronic/dark synth flourishes against a mostly acoustic backdrop. A really haunting record from a very humble and quiet area in Italy. The standout track is easily the gloomy “Da Un’altra Parte” (From Another Part) but this a really interesting listen, front to back. Hope you enjoy it! 11. Che Si Tratti Di Me? 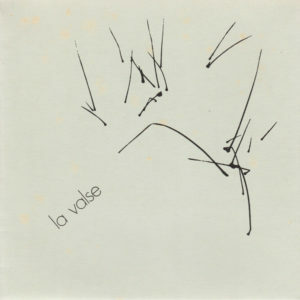 PS- I removed the link for La Valse for now… I’m expecting a copy of the 7” in the mail. Once it arrives, I’ll make a new rip and let you all know so you can update your digital files. Hang tight, and thanks as always for the support. Just realised it’s been a while since my last post. Sorry, guys! I have quite a few things on the plate, including a rare French coldwave 7” and a few more Italian goodies that I’ve been meaning to get to, but here’s something I’ve had uploaded for a while to whet your appetite until I can get that stuff all organized properly for you. 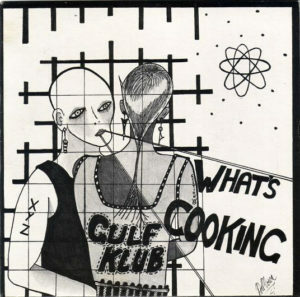 This is a one-off 7” from Australia, released in 1984 via Vi-Nil Records. Despite being distributed by EMI, this one didn’t get a lot of attention when it came out. Not much about them on the net, but Geoffrey Stapleton was also involved with The Aliens, GANGgajang, and more. Personally I don’t care much for the a-side (but of course, that’s just my own taste), but the flip is a great piece of Middle Eastern inspired minimal synth. While the geography is all wrong here, the sound still feels right at home for fans of Minimal Compact, Beograd, Max & Intro, etc. A short little piece of synth perfection that I hope you all enjoy! While I haven’t posted much shoegaze here, I’ve been a fan of the genre as long as I can remember… Aside from the classics, I’ve also grown to love more modern bands such as Ashrae Fax, Stella Luna, Tamaryn, The Autumns, the Claire Records bands, and of course, Bethany Curve. With that in mind, I’ve been looking for a copy of this cassette for ages, pretty much a holy grail for me for many years, so it’s proof that good things come to those who wait. This came to me as an anonymous donation at first but many thanks to the original collector who spent a lot of effort and time to track this down. Bethany Curve formed in Santa Cruz, CA in 1994, taking their name from a local street sign. The band released four albums and one EP, going on hiatus in 2004 after the release of Flaxen. Though they haven’t released anything since, the band played some shows in 2010, and their site hints at a new record, Murder, whose release date is still TBA. There’s also talk of this tape being reissued with remastered sound, so this download will be obviously be removed once it’s available for sale.